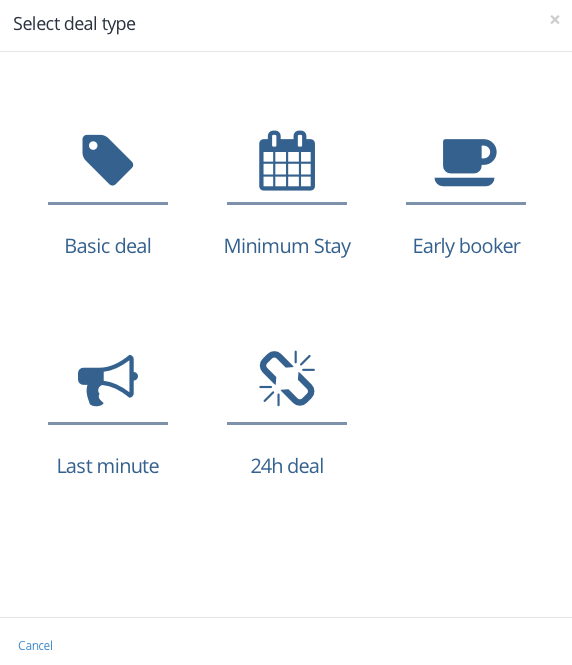 How Can I Create an Early Booking Campaign? The available campaigns in the system are Basic Deal, Minimum Accommodation, Early Booking, Last-Minute and 24-Hour Campaign. Please follow the below steps to add one of the available campaigns. Early Booking: Your guests can benefit from this campaign for early reservation. To add an Early Booking Campaign, please follow the steps below. 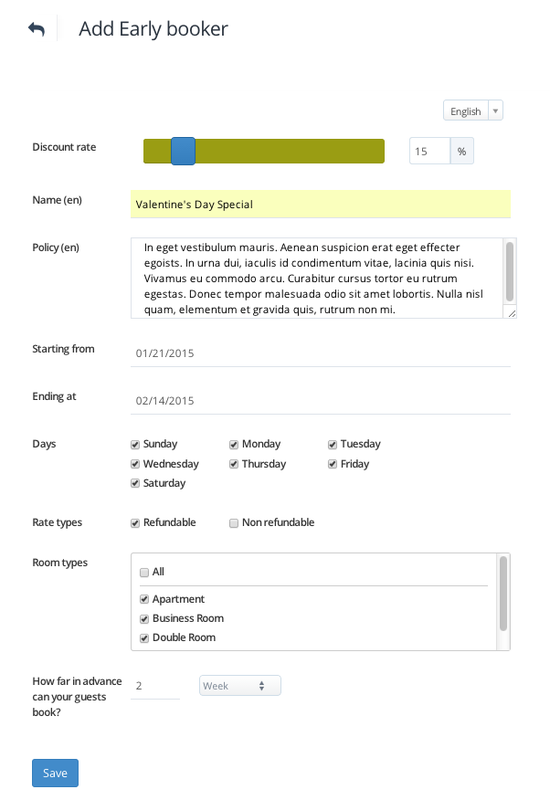 After the above-mentioned operations (add campaign), please open the Early Booking Menu. Please select the discount rate you want to apply. Please specify the name of campaign, campaign policy, date range, date option, non-refund rule (if applicable) and room type to which the discount will be applicable. Please specify the early booking date (day, week, month) on which your guests can benefit from the discount.